Let’s start discussion about uploading and downloading binary files from your Angular 4 and 5 apps without a line of server code. 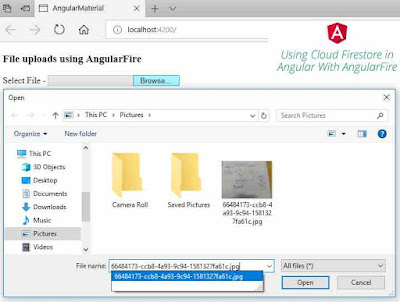 Firstly Install Firebase and AngularFire from NPM in your apps and it allow us to easily and securely manage a Cloud Storage bucket. Restricts file uploads - Secure your storage bucket you need to write rules that only allow images to be uploaded at the /images path.